New: Added a “Z” key keyboard shortcut for zapping comments that just contain name tags and nothing else. Pressing “Z” temporarily hides those comments to let you see comments with actual content. 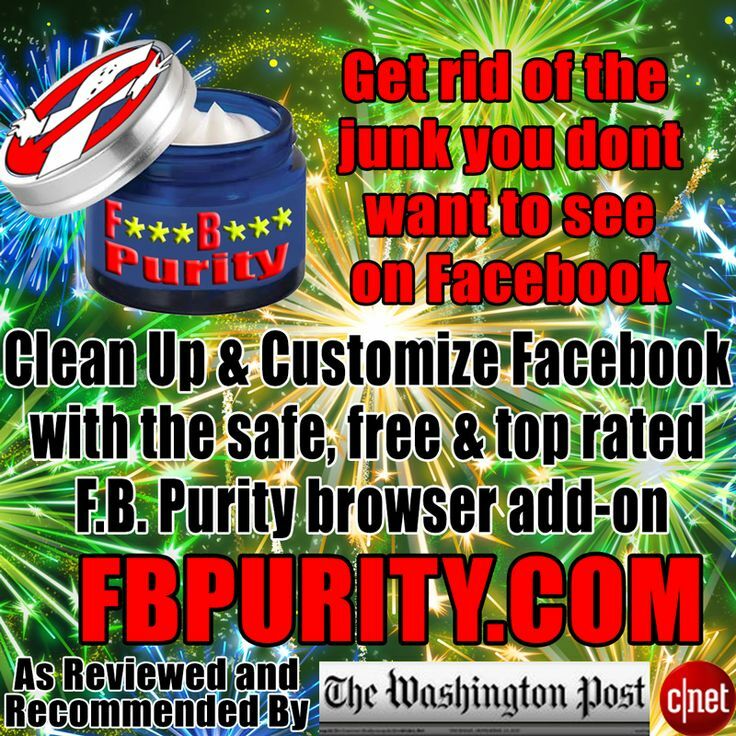 FB Purity is a safe, free and top rated web browser extension for Google Chrome, Firefox, Safari, Opera and Maxthon. It lets you hide all Facebook ads, hide the junk and interface elements that you dont want to see, filter out posts in the newsfeed you are not interested in, and Customise Facebook’s style to make it look how you want it to look. It lets you change the fonts, change the background image, make the newsfeed transparent, alert you if your friends un-friend you and many more cool features. This entry was posted in Facebook, FB Purity and tagged block facebook ads, block facebook applications, browser extension, clean up facebook, Customize Facebook, disable autoplay videos, Facebook, Facebook Customization, Facebook Newsfeed, facebook themes, FB, FB Purity, FB Purity Update, FBP, FBP Update, hide facebook ads, hide sponsored posts, hide sponsored stories, hide suggested pages, hide suggested posts, hide trending topics, newsfeed filtering. Bookmark the permalink. can you block a comment without deleting it? Where do I find older versions? I had to unload 13.2.1 and find 9.3.2.1 just to have it work for me. I would like to experiment with later versions and find what the newest that will work for me is.